The production and export of tequila has been one of Mexico’s major agro-industrial success stories of recent times. In this post, we look at some of the related trends and issues. 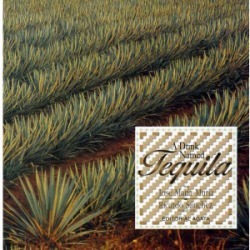 For the period 2009-2011, Mexico produced about 250 million liters of tequila a year. Of this total, 60% was “100% agave tequila“, where all the sugars are directly derived from the Agave tequilana weber azul, and the remaining 40% was “mixed tequila” (tequila mixto) where at least 51% of the sugars are from Agave tequilana weber azul, but the remaining sugars come from other non-agave sources. Tequila production, 1995-2011. 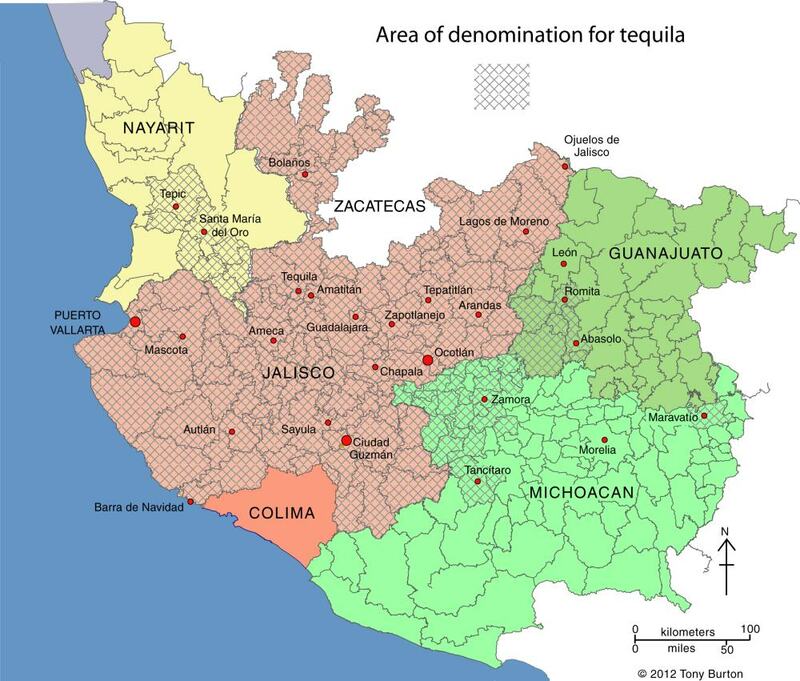 Data: Tequila Regulatory Council. This is a dramatic increase compared to the period 2001-2003, when the average production was about 140 million liters a year. During that period, 100% agave tequila contributed only about 20% of the total. The relative importance of 100% agave tequila has clearly increased very rapidly in the past decade. While there is a clear upward trend in total production, there are periods where production has fallen, most recently from 2008 to 2009, when production fell by 60 million liters. One of the possible reasons for a short-term blip in tequila production is if there is a shortage of agave. Agaves take about 10 years to mature, so there is a lengthy time lag between planting and the first harvest of newly planted areas. As demand for tequila has risen, some of the major producers have experienced temporary shortfalls and been unable to source as much agave as they would have liked. 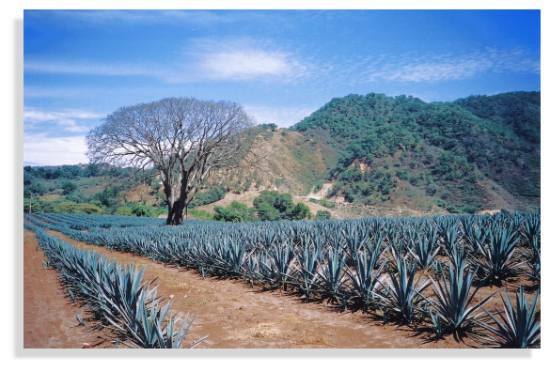 One of the consequences was that independent agave producers entered the market, seeking to profit from such periods. Such independent producers could do well, provided they were able to predict agave shortages a decade in advance. During the 1990s, hillsides all over Jalisco were planted with agave, many for the first time, providing a significant boost to agave supply a decade later. Not all independents came out of this on top. The supply of agave now exceeds demand. 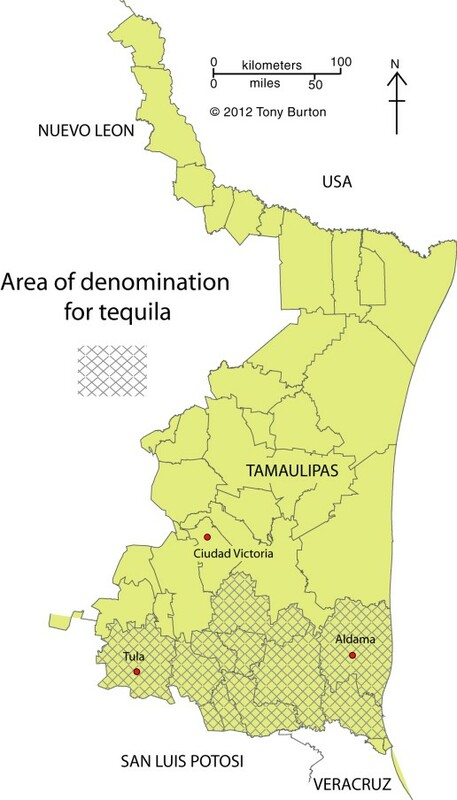 Many of the major tequila companies have increased their own acreage of agave, or have signed forward-looking contracts with major independent growers in other areas of the designation of origin zone. Many independent agave farmers are losing out; they planted agave a decade ago, but failed to forecast the current glut. Tequila makers currently consume about 1 million metric tons of agave a year. The Agriculture Secretariat estimates that there are about 20,000 independent growers who have no contracts, and 223 million agave plants of diverse ages for which there is no current or short-term market. As many as 30 million agave plants were considered “very mature” in 2009 and a total loss in 2010. It is likely to be several years before the production of agave falls back to a level sustainable with demand. Tequila exports have risen very rapidly since 2001, with only minor anomalies along the way. Mexico currently exports about 160 million liters a year. Tequila exports have performed well despite the now lengthy economic woes being experienced by the major importing countries. Mexico’s tequila makers have undergone a similar experience to the country’s major brewing companies, in that all but one of the major tequila firms are now owned by foreign corporations. A proposed deal in which the last of the big Mexican tequila companies, José Cuervo, would also have been taken over by British firm Diageo (which owns Baileys, Johnnie Walker, J&B, Smirnoff, Captain Morgan and Guinness) was called off in December 2012. The major environmental problem associated with tequila making is wastewater. For every liter of tequila, 10 liters of wastewater (vinazas) are produced. The vinazas are nitrogen-rich, and contain high concentrations of chemicals, including heavy metals and salt. The National Chamber of the Tequila Industry recognizes that only about 60% of vinazas are disposed of properly. Most of the remaining 40% (about 2.5 billion liters in 2008) are thought to be pumped untreated into local streams and ponds, damaging the ecosystem and destroying stream life. The Mexican government fines distilleries that do not have adequate treatment plants for the vinazas they produce, but in the past many companies have opted to pay the fines rather than solve the problem at source. The vinazas problem was one of the reasons why UNESCO recently considered revoking the Tequila region’s World Heritage status, awarded in 2006. Another issue that made UNESCO unhappy was a recent decision to locate a landfill site in Amatitán in the center of the World Heritage zone. In the end, UNESCO officials agreed that progress was being made; the area kept its heritage status. There is hope on the horizon. A new cost-effective option for tequila firms seeking to dispose of viñazas has been developed by a local corporation Tecnología Nacional de Aguas. Called Proshiemex, it uses the viñazas to produce methane-rich biogas which can contribute to heating the boilers of the tequila distilleries. The remaining sludge can be easily treated in accordance with all applicable environmental norms. The origin of tequila [link to article suggesting that the town of Amatitán has a longer history of tequila making than Tequila].